The carnation belongs to a flower species called dianthus, a scientific name that roughly translates to “flower of love” or “flower of the gods.” The carnation has a ruffled appearance that carries a clove-like scent. Unlike other flowers, a single-stemmed carnation can hold the same elegance and beauty as a bouquet of carnations. Some of the oldest cultures in the world have revered and cultivated the carnation for centuries. In fact, the ancient Greeks and Romans frequently used the carnation in art and décor. Many Christians believe that the first carnation bloomed on Earth when the Virgin Mary wept as Jesus carried his cross. Carnations during this era were predominantly found in various shades of pink and peach. Over time, the palette of available colors increased to include yellow, white, purple, red, and green. Despite the many changes that took place over time, the popularity of the carnation continues to grow. Carnations carry several meanings: As with many other flowers, the carnation communicates different messages based on its color. 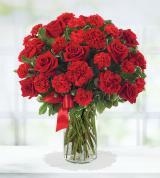 For instance, light red carnations convey admiration, whereas dark red communicates deep love and affection. White carnations symbolize purity and luck. People often give pink carnations as a sign of gratitude. In the early part of the 20th century, it became customary to give carnations on Mother's Day. Today, people give carnations for many different occasions, such as weddings, birthday parties, funerals, and festivals. 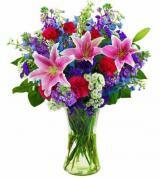 Avas Flowers offers nationwide flower delivery on a wide selection of carnation flower arrangements. 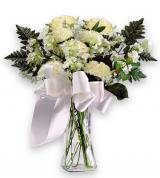 We offer an assortment of carnation arrangements in many different colors. Simply click on the color of your choice on the left sidebar to see what we have in stock. 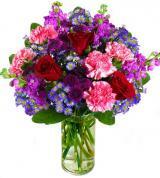 We also offer carnation bouquets in an assortment of colors. 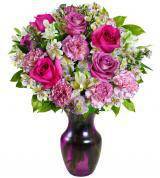 We offer better carnation arrangements at lower prices than our competitors. 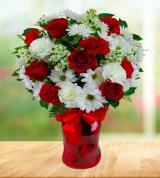 In addition, we offer same-day delivery on select carnation arrangements if you buy carnations before 2 p.m. local time. Please note that our same-day delivery policy varies according to your delivery driver’s route and destination. 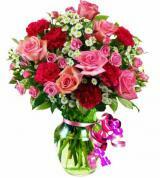 We do our very best to ensure that your carnation bouquets arrive safely at your door in a timely fashion. We are committed to customer satisfaction and will re-deliver carnation bouquets to the specified destination if you contact us within seven days. No other florist offers carnation flower delivery that gets premium flowers to your doorstep faster than you can click a button. 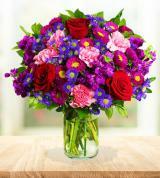 Avas Flowers offers same-day delivery when you order and send select carnation bouquets online. 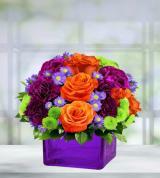 We also offer floral arrangements and gift baskets that convey the message you wish to send to that special someone. 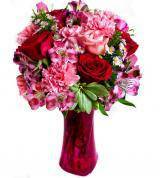 Why shop for carnation arrangements at any other florist? We offer everything you need and more at Avas Flowers. Buy your carnation bouquets today! 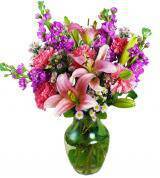 If you need additional information on our floral arrangements, then give us a call at 1-877-638-3303.